TQ-5300 Torque meter, used with the TQ-2000 series High-stiffness torque detector, can convert the pulse output of the detector to digital torque value and analog voltage output. 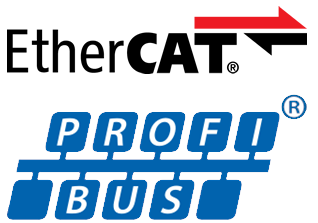 Four kinds of digital interface (newly added EtherCAT, PROFIBUS, CAN, and existing RS-232C) are provided as options as digital output, which allow digital communication at higher speed. These digital interfaces can output torque measurement value without decreasing accuracy that the torque detector originally has. High speed response analog output is enabled by adopting periodical calculation method to convert it for every one cycle of the pulse. Remote I/O function, communication function, and interlock function are provided as standard, which are very useful for assembled system. Optional multi-range function (TQ-0536) covers settings for multiple torque capacities in one torque detector. These digital interfaces allow output of torque measurement value without decreasing accuracy that the torque detector originally has. ● Range switching by menu mode or external mode. ● Measurement error is prevented by checking current range setting with range output when switching ranges in external mode. *Please consult before the order when you use the multi-range function. Setting conditions should be decided according to the torque range used. 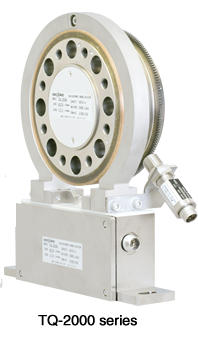 Signal output frequency detected by the TQ-2000 detector fluctuates according to the amount of torque detected. The TQ-5300 torque meter calculates for every one cycle the frequency which corresponds to the detected torque amount, and outputs them as analog signal at high response. It enables optimum control by following up the transient torque having wide fluctuation. TQ-2000 series high stiffness torque detector is optimum for the motor torque test which requires high speed rotation such as a motor for driving EV/HEV. Simultaneous analog output of torque·rotation speed value. 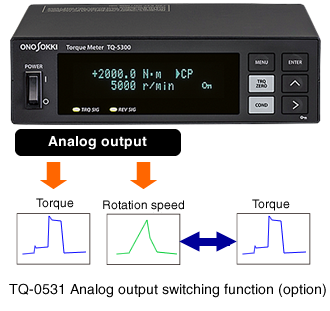 Using TQ-0531 (option) enables 2-ch output of torque signal. This function is helpful when you use outputs in different purpose. For example, you can output data for controlling and recording with a single torque meter. Comparator output:When the torque value exceeds the torque value specified in advance, it is considered to be abnormal and contact output is executed. As for comparator output, it has three channels to be set. Two channels are able to be set the value freely, and comparator output is automatically performed from one channel when torque value exceeds the 110% of the maximum. Two channels which can be freely specified are able to be set to rotation output. It provides data to reproduce virtual load faithfully in an engine bench. 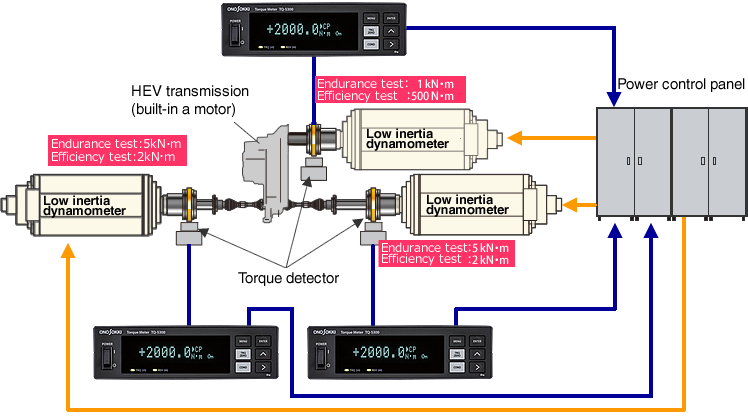 High accurate and high response torque data is able to be obtained by theTQ-5300 in which digital interface is equipped. One torque detector supports various tests including engine endurance test, efficiency test by using multi-range function. Stable measurement is possible because there is no need for replacing torque detector according to the torque value of the test. Pulse output from torque detector after waveform shaping. This function automatically displays the torque value zero when no load condition by external contact point. Selectable among3conditions by switching external input signal (option). Contact point is closed when torque measurement condition. Simultaneous installation of communication options is not available excluding the combination of RS-232C and CAN. 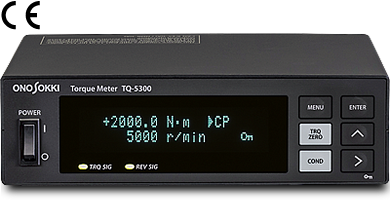 The TQ-5200 Torque Convertor is used with as display unit. * Simultaneous installation of CAN and RS-232C is available.